We’ve seen lots of movies with the mental hospital theme. We must admit that the haunted mental institution plot would be one of our top choices in the scary movie rating. 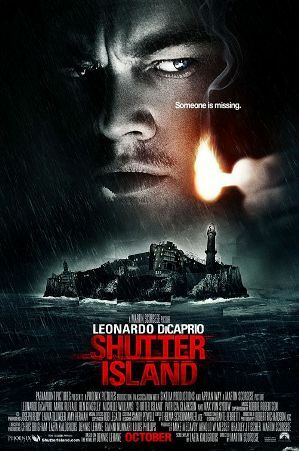 The idea of the movie "Shutter Island", the place where the most dangerous mental patients are sent and the story of a missing patient, excited us tremendously. More so when we found out that it is based on a best selling novel. We were psyched with the horror and the terror that awaited us. It was shown in the States two months ago and we have been hearing very good reviews about it especially from Leonardo DiCaprio’s performance. Let us hope this movie would rise up to the fear and fun we expected it to be. Read on to find out more. The year is 1954. US marshal Teddy Daniels (Leonardo DiCaprio) and his partner Chuck (Mark Ruffalo) are sent to the Ashecliff Hospital, an institution for the mentally insane located in Shutter Island. They were sent to investigate a patient named Rachel Solando (Emily Mortimer), who mysteriously disappeared inside her cell. The longer they stay in Ashecliff, the more bizarre it gets. Teddy is haunted more and more about his past traumas and the death of his wife. Also, there seems to be no clues leading to Rachel’s disappearance and Teddy concludes that maybe, his trip to the island may all have been set up. The question now is, for what? The only thing that disappointed us with Shutter Island is that we thought there would be more scares. Instead, we were pleasantly surprised that it was more of a psychological thriller, full of mysteries left and right. Heck, we got tired of trying to figure out the mystery as scene after scene unfold. This is probably one of the best psychological thrillers in a long while. You will enjoy how stranger and wonderfully confusing the movie becomes. We also liked how eerie and mysterious the movie looked from start to finish. Brace yourself for the wonderful twist towards the end, although some might say it is quite predictable. We might even rate this a perfect five reels but some might say the movie’s quite long and dragging. Over-all, we loved the movie – definitely worth your hard earned money. And did we mention how good Leonardo DiCarprio was? - brilliant psychological thriller. You will definitely enjoy the ride.